New coupon alert! 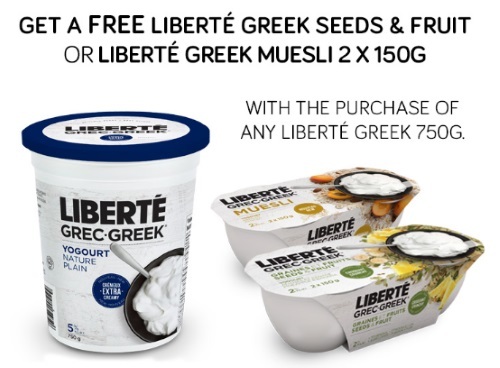 Get Free Liberté Greek Seeds & Fruit or Liberté Greek Muesli 2 x 150g with the purchase of any Liberté Greek 750g product! This is a mail coupon available for a limited time at the link below!